Cinnamon was hilarious this afternoon. She wanted to go on a walk so my sister Emily and I were getting ready to go outside. While I put my flip flops on, my sister sat down on our love seat close to the door and propped her feet up. The next thing I know, Cinnamon runs by and goes through my sister’s legs to get to the door after I said, “Ready Cinnamon? Let’s go! !” She always gets so excited when we say that because she knows we’re gonna go on a walk, haha. 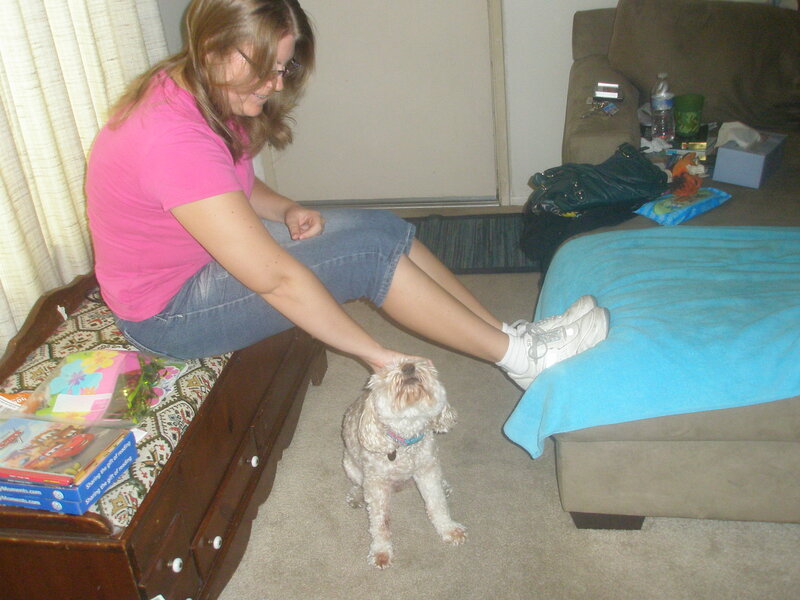 Then, Cinnamon went back through my sister’s legs and just sat there, next to her waiting for some head rubs. It was so funny!! She kept doing that while my sister was trying to put her shoes on.